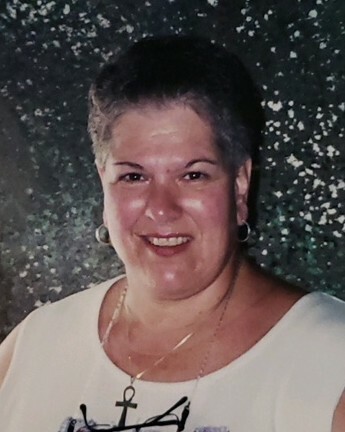 Barbara L. Meloy, age 69 of North Branford passed away peacefully surrounded by her family at CT Hospice in Branford on January 28, 2019. She was the beloved wife of the late Robert E. Meloy Sr. Barbara was born in Brooklyn N.Y. on January 31, 1949 to Alice (Abbott) Mujaes and the late Fouad Mujaes. Barbara graduated from Hillhouse High School, New Haven in 1966 and attended Quinnipiac University. She was employed by Yale in the Endocrinology Lab, Second National Bank of New Haven, as an Office manager at SGA Surgical and retired from her position as a Safe Deposit Attendant from New Alliance Savings Bank. Barbara’s biggest accomplishment was being a great mom to her children, she will be greatly missed. She is survived by her three children, Kristyn (Brad) Taylor of Wallingford, Michael (Ashley) Meloy of Northford and Melanie Meloy of North Branford, two grandchildren Pixie and Greysen Taylor of Wallingford, three step children and step grandchildren. She also leaves behind her sisters Diane Mujaes of Calif. and Claire Shogren of Clinton. Family and friends may visit the Keenan Funeral home, 330 Notch Hill Rd. in North Branford, Thursday, January 31, 2019 from 5 to 7pm. A Funeral service will be held Friday, February 1, 2019, 10am at the North Branford Congregational Church. Interment will follow at State Veteran’s Cemetery in Middletown CT.